Lodha Codename Super Deal: Welcome to a world of luxury apartments and world-class amenities for a lifestyle of pure sophistication! Mumbai is a beautiful city that is known for its modern-day lifestyle, luxuries and so much more. There is so much to this city other than what meets the eye! 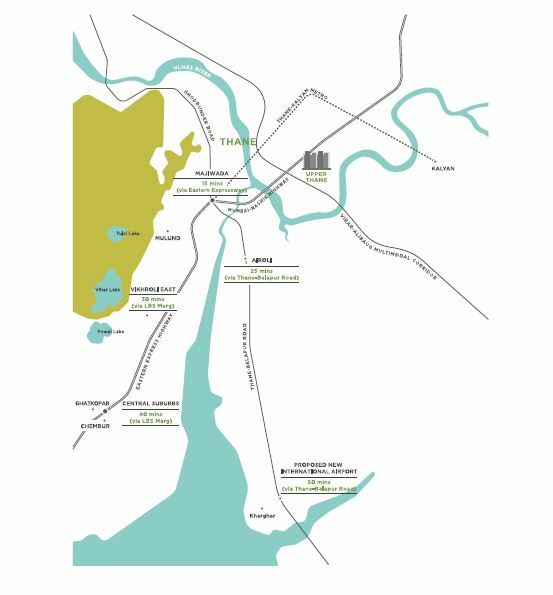 Thane is a part of the Mumbai Metropolitan Region (MMR). The real estate market in Mumbai is sprawling with new residential projects, but none like the latest creation of Lodha Developers. Lodha Superdeal is a refined township project in Bhwandi, Mumbai by Lodha Developers that is designed by Hafeez Contractor and PBB, offering a lifestyle of wholesome goodness that will blow your mind! Extended over 87 acres of land, this development contains well-endowed towers (G +14) that offer 1BHK, 2BHK and 3BHK luxury apartments that are designed to meet every requirement and taste. The apartment carpet area sizes start from 457 sq. ft. and go up to 1018 sq. ft., providing beautiful luxury space that you will never run short of! 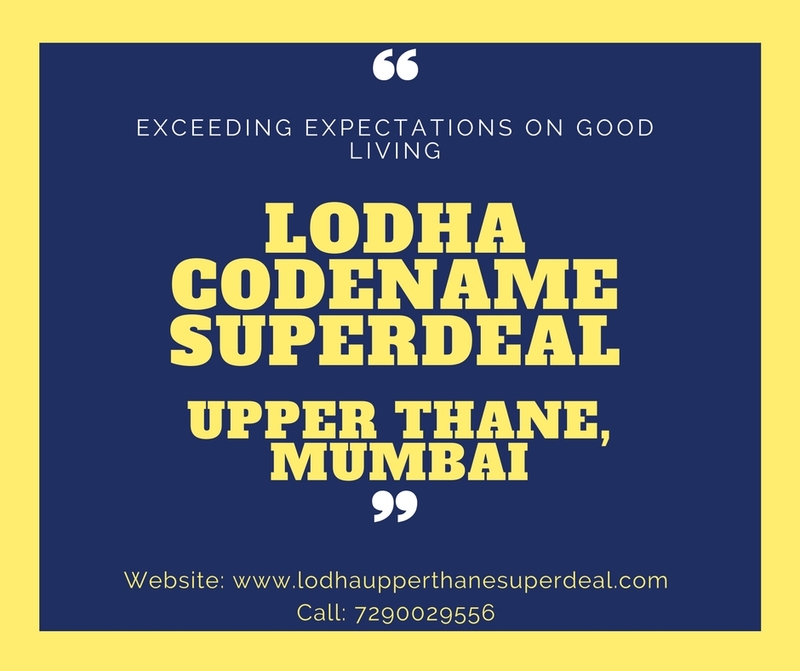 Lodha Codename Superdeal Upper Thane is an extraordinary township project that offers a life filled with luxury, glitz and glamour that will always keep your head held up high! The apartments are spacious, air conditioned, provide beautiful natural lighting, cross ventilation and contain branded fittings & fixtures, imported Marbital flooring in every room, designer washrooms, decorative door, wide balconies and tall windows providing fabulous views of Ulhas River and lush greens, sun-decks, private gardens, modular kitchens with granite counters, stainless steel sinks and multiple provisions, hi-tech safety features and the list goes on. This development does not run short on external amenities and offers you only the best of the best! Relax and spend time with your family and friends or take some time-off to yourself, this township development offers graceful comfort for you to do it all. The external amenities include a grand clubhouse, multiple sports facilities and a play-zone for your kids, multipurpose hall, swimming pool, theatre, well-equipped gym, nursery school, day care centre, gorgeous landscape garden, wide open space and high-end security with video surveillance in all common areas. This development also offers power back-up, efficient car parking and takes up rain water harvesting and sewage treatment. Located at Upper Thane, Bhiwandi, Mumbai, Lodha Upper Thane has plenty of your daily and emergency landmarks in close proximity and offer a life of convenience that will satisfy your soul! Places like schools, college, banks, ATMs, medical centres, hospitals, restaurants, cafes, cinemas, clubs, pubs, lounges, resto-bars, mall, shopping centres, supermarkets, convenience stores, entertainment zones, public transport and a lot more can be accessed in the shortest amount of time possible. Starting at a price of Rs.49.86 lakhs and moving up to Rs.89.91 lakhs, the Lodha Superdeal price is affordable, an incredible deal that is simply irresistible. Welcome to a world of premium luxury and comfort at a budget-friendly price! You can conveniently choose from a number of payment plans along with easy home loans at low interest rates, NRI services, customer support and a lot more for a hassle-free purchase. Book your favourite apartment today and live the glamorous life you have always desired!